FORM GSTR 9 is an annual return that should be filed by the taxpayers who are registered under GST. It should be filled by even those who are registered under the composition Levy scheme. 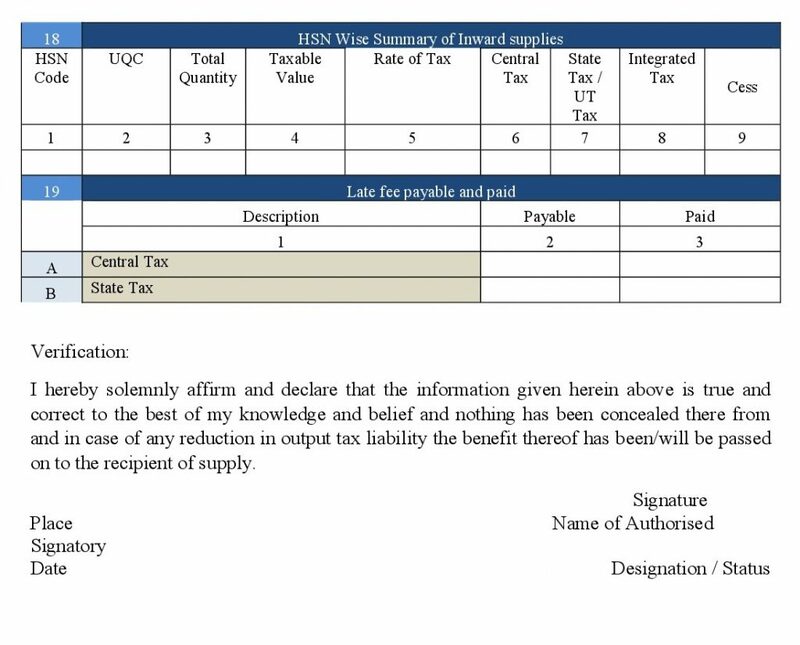 In GSTR 9 form, you would see various information related to supplies received and done during the whole year under various tax heads such as CGST, SGST and IGST. GSTR 9 – This form should be filed by the regular taxpayer who is filing GSTR 1, GSTR 2 and GSTR 3. 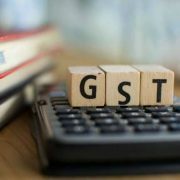 GSTR 9B – To be filed by the e-commerce operators who have also filed GSTR 8 during the financial year. 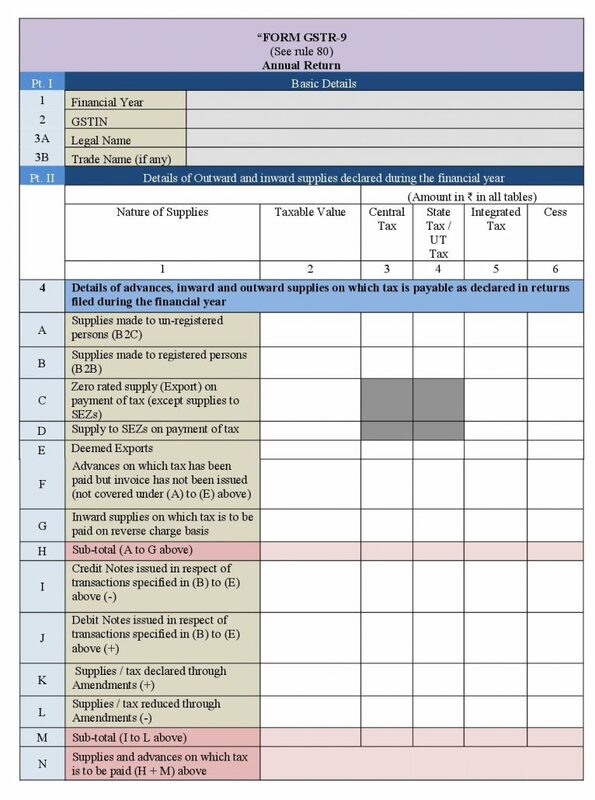 GSTR 9C – This form should be filed by the taxpayers who have annual turnover to the north of Rs 2 crores during the financial year. 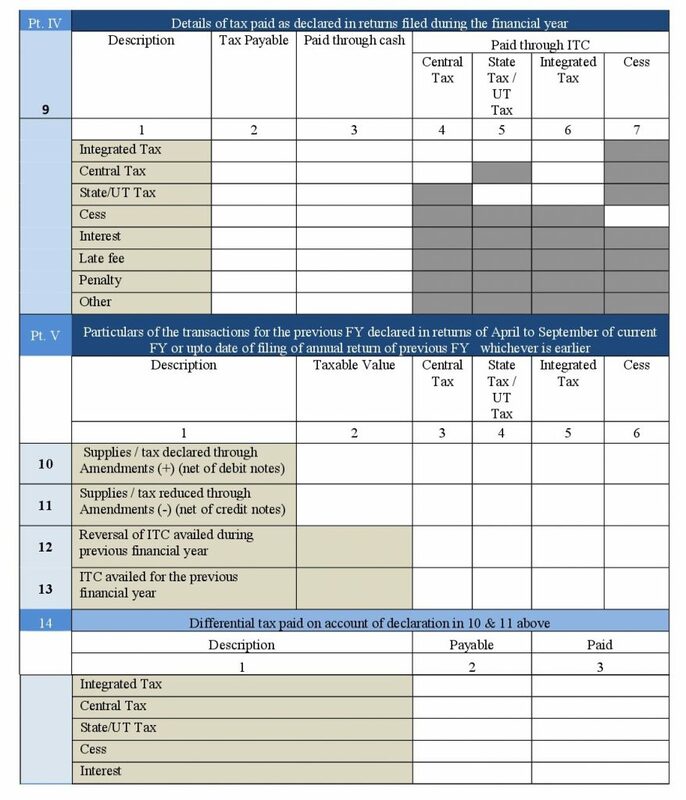 If you fall under this category, you should also get the accounts audited and file a copy along with the reconciliation statement of tax that has been paid already as well as tax playable as per the audited accounts along with GSTR 9C. 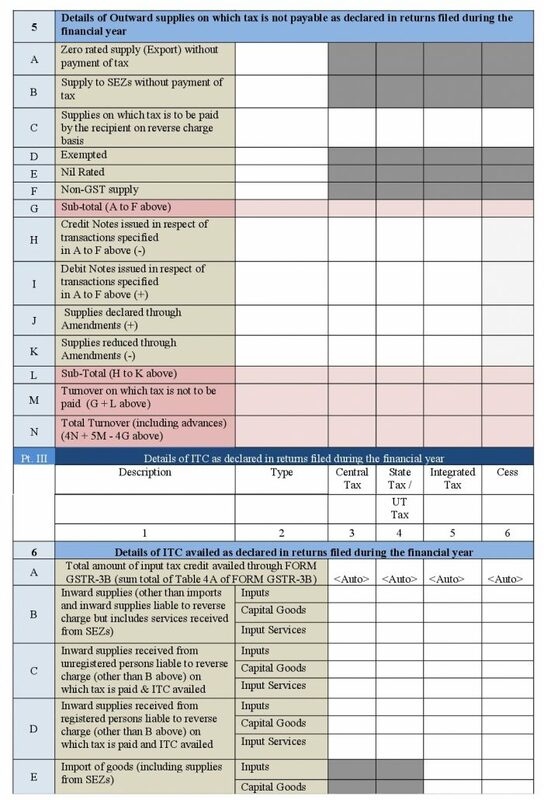 Due date of filing GSTR 9 is before 31st December of the subsequent financial year. 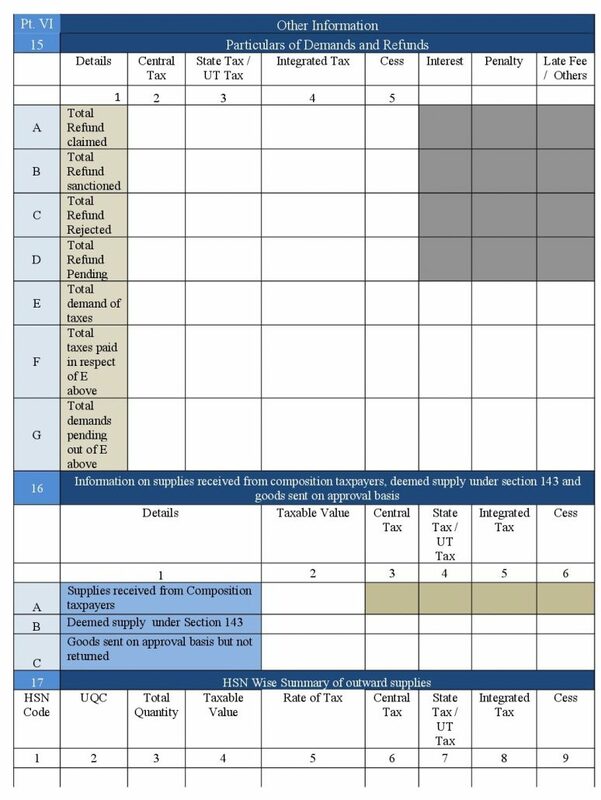 In case you fail to file the return by the due date, the penalty of Rs 100 day per act would be added, maximum of an amount arrived on a quarter percent of the taxpayer turnover in the State as well as the Union territory. Put it simple, you would be fined Rs 100 under CGST and Rs 100 under SGST which bring the total penalty to Rs 200 per day of default. What are the Details required? Part II – The taxpayer would need to offer the details of Outward and Inward supplies during the financial year. 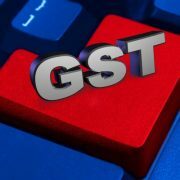 The details would be recorded by consolidating summary from every GST returns filed in the previous financial year. 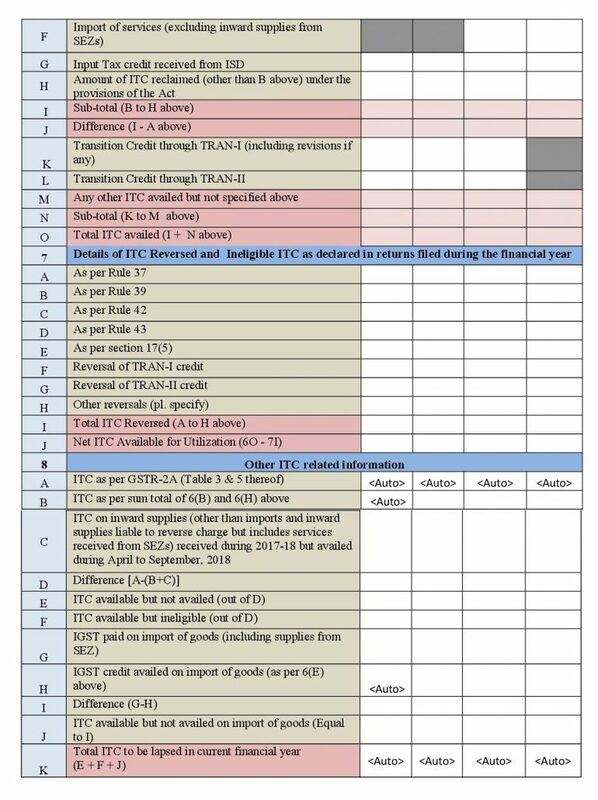 Part III – You would need to provide the details of ITC in returns filed during the Financial Year. Part V – Specifics of the transactions for the previous financial year that you have declared in returns of April to September of current financial year or up to the date of filing of annual returns of previous financial year, whichever is earlier. 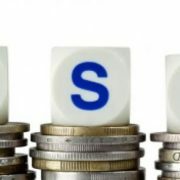 HSN wise information of the quantity of goods supplied and received with its corresponding tax details against every HSN code. Make sure that you are filling all the information correctly and thereafter revising it once before clicking on the submit button. It is because you would not be allowed to make any revisions in the form. Any errors or omission can only be rectified or included in the next month’s return.